Yesterday I told you about the Pioneer Woman's special giveaway to help the people of Haiti. Look at all of these other bloggers who are doing their part to help! I hope you'll join and do what you can. If you can't afford a large donation, that's okay: every bit helps. And if you can't afford to donate at all, then be creative: pray, blog, spread the word on Twitter, donate your SwagBucks, or find another way to help! I've added a Compassion banner to my right sidebar; I know that other organizations have banners available to bloggers, as well. Here's the list of bloggers I visited. The post by Crystal (Money Saving Mom -- I'm not certain, but I believe she started this campaign) has an extensive list of bloggers who are helping in their own ways. See the comments on this post for more opportunities to link up or comment to help. All of these offers are being made by the individual bloggers, so visit their blogs and follow the instructions if you want to participate. Thanks for sharing. I love that bloggers everywhere are helping to spread the word! Kelly at http://www.kellyskornerblog.com/2010/01/compassion.html for every comment saying you donated she's donating $1.00 up to $1000.00. And Kristen at http://www.wearethatfamily.com is doing $1.00 raffle. Proceeds go to Haiti. Yes, thank you for sharing & passing the word along! It's amazing to see all the bloggers participating! I posted a blog with a link to this post. I also am joining this and for every comment on this post- http://justanarmywifejustamommy.blogspot.com/2010/01/bloggers-helping-haiti.html my family will donate a dollar to The American Red Cross, up to $100. I am in awe of how many of us are coming together and doing something to help Haiti. Thanks so much for the link! We're so excited to join with the communal blogging community in raising support! Donate $10 to Haiti by texting 20222, I did. You get a text confirmation too, the funds are billed to your cell account. Mr Clinton claims 100% transferred immediately for aide supplies! 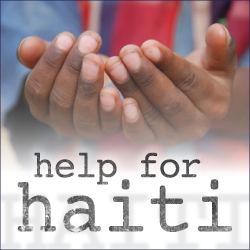 Thanks for doing your part to help Haitian earthquake victims by taking time to link up with other blogs. In addition to making donations, I'm giving $10 eCOUPONs to my online gift store Gifts For One Gifts For All (www.giftsforonegiftsforall.com) to those that have donated to organizations helping the Haitian earthquake victims. When the eCOUPON is redeemed, 10% of the purchase will also be donated to organizations helping Haiti. Read my blog for more details at http:/bit.ly/DONATE2HAITI on how you can receive your eCOUPON for donating. For bloggers raising awareness or making donations for comments or links made and you want to thank those that have contributed to your blog, contact me at info@giftsforonegiftsforall.com to a eCOUPON you can give those that have help you give. Don't forget to contact me to receive your eCOUPON for doing your part to help Haitian earthquake victims.